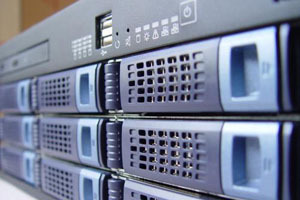 We give shell accounts for various purposes: security work, IRC bouncers and bots, running internet radios, secure webhosting for shops and high traffic sites. Depending on what you need and what you are willing to give back to the community, the service could be free, or cost you a few EUR / month. Our objective is to provide free hosting for useful security and science related projects mainly, but we are open to new ideas. Try it and love it: Register Now ! NEW: We now accept Bitcoins. To put it simple: the shell account we give you is cheaper, but still still better. Get familiar with other shell providers to get a perspective for yourself: here, here, and here. Most pay-for shells cost $3-10 / month, and what you get is a restricted environment (chroot, limit on maximum number of connections, 1 or 2 background processes) - so you don't have even half the options that are a given here. Free shells don't cost you a dime, but they are almost always virtual servers with limited resources, they don't allow IRC / bots, or have some other catch. On shell.tor, for the same price or lower you get it all in one. A secure shell, IRC, Web, friendly resource limits, a very wide range of installed applications (and anything else you are missing is installed on request), compilers, networking tools, any number of virtualhosts to serve your websites running PHP, Perl CGI, Python, Ruby or even your own C app. You get the ability to set up your own crontab, run your daemons, leave them running in a screen session. SSH from anywhere, on the standard port 22. If you don't need all of these features, you can get a simple shell without webhosting and IRC for as low as 2 EUR / month (less than a pack of smokes). But even with the unlimited webhosting, it's only 4 EUR. Do whatever you would if you had your own server. We do not judge your web content: as long as it's legal according to Hungarian law, you are welcome to host it. We believe in freedom of speech - "I may not agree with what you say, but I will defend to the death your right to say it". Shell.tor.hu is not about profit. We need paying customers and donations only to support the hosting and hardware upgrade costs. If you have a good project related to security or science, you get all of this for free. Sign up for a shell account! Why NOT choose this shell? While this server is great for a lot of things, we don't want to make it look like the perfect solution for all purposes and everybody. If you need a proxy: the TOR tunnel helps with anonymity but it is not suitable for fast surfing on the web. What you need is torvpn - it has PPTP, OpenVPN, and SSH tunnelling. It's free to try. To get cool hostnames on IRC: we do not have IPv6 and hundreds of funny domains/vhosts to impress your friends with on IRC. We provide a stable server for many kinds of IRC bots, though. For e-mail spamming: we are very much against spam. The sending of unwanted e-mails is strictly prohibited. Normal usage (sending mails to your users who really did request it) is allowed.